Mushroom season 2014: bring it on! I love how these and other toothed fungi engulf whatever’s in their way. This one had not only eaten a couple of sticks, but it was doing its best to devour a branch in its path. 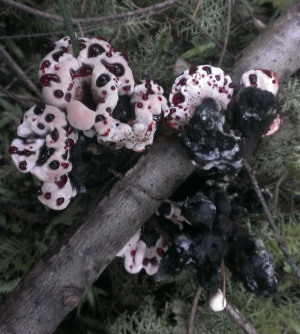 In the same forest were a good number of Hydnellum aurantiacum, which is more common in these parts. (You can see the teeth in this image.) 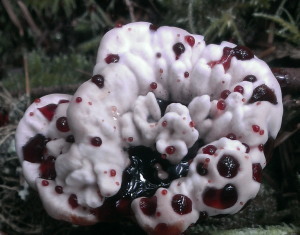 I can expect some lovely greens out of both Hydnellum dyepots. 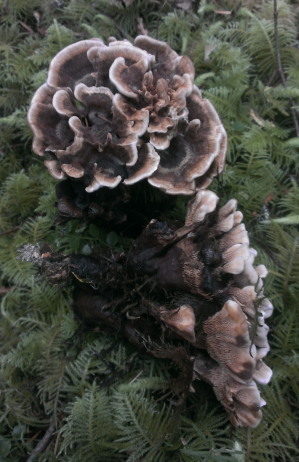 As of now, I’m setting aside half of my mushroom treasures for other reasons; stay tuned to find out!